Alissa received her Masters of Education in Community Counseling from Winthrop University and is a Licensed Professional Counselor in South Carolina. Areas of interest include working with adolescents and their families as well as adults. Ms. Hager has 7 years experience working with both adults and adolescents in inpatient and outpatient settings. As part of her work with clients, Alissa firmly believes that the counseling relationship is a very personal and intimate relationship, with set limits and defined professional boundaries. The most crucial aspect of this relationship is trust. Counseling is a joint effort which cannot be successful or effective without hard work, dedication, and courage to change. 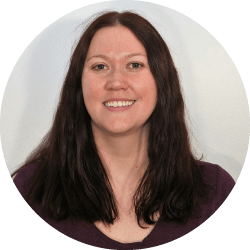 Alissa’s specialties include Dialectical Behavioral Therapy [DBT], Trauma, Oppositional Defiant Disorder, and Group Therapy. In addition to working with teens and their families, Alissa enjoys working with adults.